Powerful Action Without Potentially Harmful Endocrine Disrupting Ingredients: formulated without parabens, petroleum, pesticides, propylene or butylene glycols, silicones, talc, carbon black, phthalates, sulfates, PEGs, TEA, DEA, GMO, silicones, artificial dyes or synthetic fragrances. And for the several thousand commonly used ingredients we never add, go to CLEAN BEAUTY™ Challenge. Sustainable Company Practices Utilizing Solar & Wind Power & Sourcing Locally: Many of Juice Beauty’s products are made with sustainable energy and our boxes are made with recycled or FSC certified paper, printed with soy/non-toxic ink & sourced in the USA. Our corporate headquarters contains all sustainable/re-used materials. The Company focuses on sustainable practices from top to bottom. Socially Responsible Giving: Long term support and partnership with The Breast Cancer Prevention Partners & EWG/ Environmental Working Group. Juice Beauty is PETA Cruelty-Free certified and our Company was recognized with a Courage in Commerce Award for reaffirming its commitment to compassion by promising that tests on animals will never be conducted for products, formulations, or ingredients anywhere in the world. Juice Beauty is certified by Leaping Bunny. The Leaping Bunny Logo certifies that a cosmetic or personal care company adheres to the Corporate Standard of Compassion for Animals, and is a voluntary pledge that companies make to not test on animals during any stage of production development. This logo represents a stringent non-animal testing international standard. The USDA seal may be carried on products that have 95 to 98% Organic (total organic content excluding water). These products must carry the certifying agency on the product box. Juice Beauty’s two certifying agencies for these products are noted below: New Mexico Dept. of Agriculture Organic Program 4501 Indian School Rd NE Suite 100 Rm G104 Albuquerque, NM 87110 Agricultural Services Certified Organic PO Box 4871, Salinas, CA. 93912. 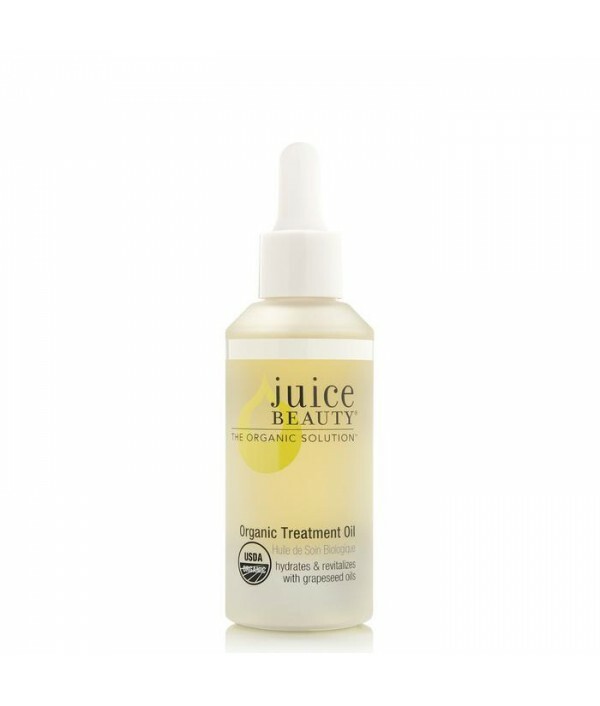 Juice Beauty products that meet this Food Grade Standard include the USDA Organic Lip Moisturizer, USDA Organic Facial Wash, and USDA Organic Treatment Oil. COPA is one of the most rigorous standards in the world. This shows that Juice Beauty buys the majority of our ingredients from USDA certified organic farmers. In the State of California, the California Organic Products Act of 2003 (COPA 2003) prohibits the retail sale of any cosmetic product labeled as “organic” unless that product meets the criteria of a minimum of 70% organic content EXCLUDING WATER OR FANCY NAMES FOR WATER. Any product labeled “organic” that does not meet COPA requirements cannot legally be sold in the State of California. Note that this seal (not a government seal) is used by Juice Beauty to show compliance with COPA. Every one of Juice Beauty's products meet COPA's requirement with the exception of the Phyto-Pigments mascara (just under the 70% threshold). 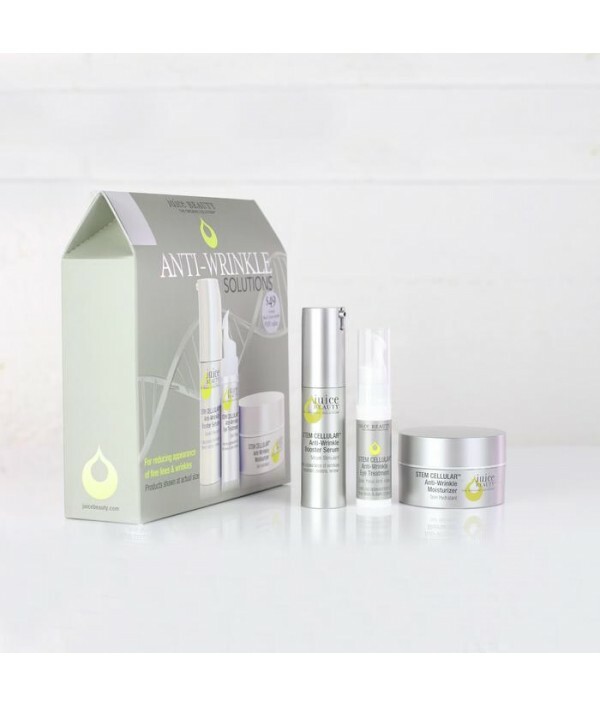 Reduce the appearance of fine lines and wrinkles with our clinically proven STEM CELLULAR™ Anti-Wrinkle formulations, containing a proprietary blend of fruit stem cells and Vitamin C infused into an organic resveratrol-rich grapeseed base for powerfu..
8846765817892 Deeply cleanse and remove impurities with this clarifying blemish clearing cleanser of certified organic lemon, cherry and aloe juices. Clears While Hydrates.Clean. Green. Organic. Natu..
Control oil and help clear blemished skin with this purifying and deep pore cleansing clay weekly mask. Visibly refines skin tone and texture to achieve a clear complexion. Clears While Hydrates.Clean. Green. Organic. Natural.DETAILS & BENEFITSWh.. 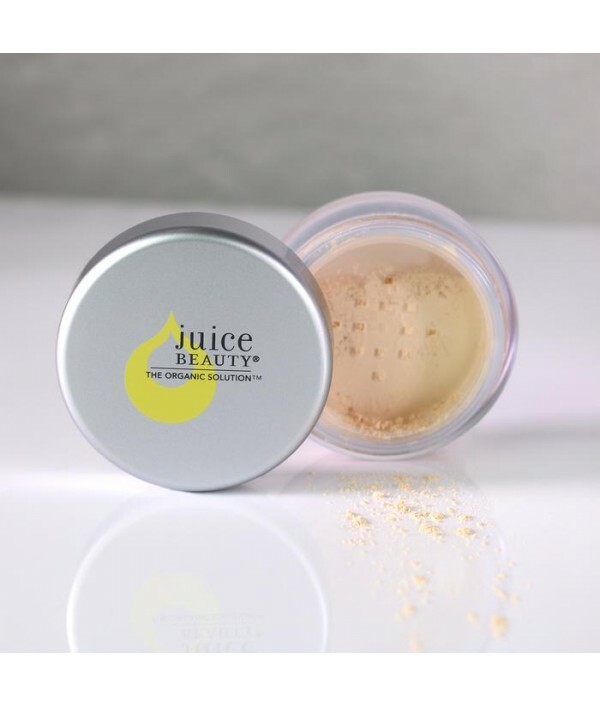 This on-the-spot concealing powder soothes, calms and helps clear with bamboo, minerals and certified organic fruit extracts leaving your blemishes concealed. Clears While Hydrates.Clean. Green. Organic. 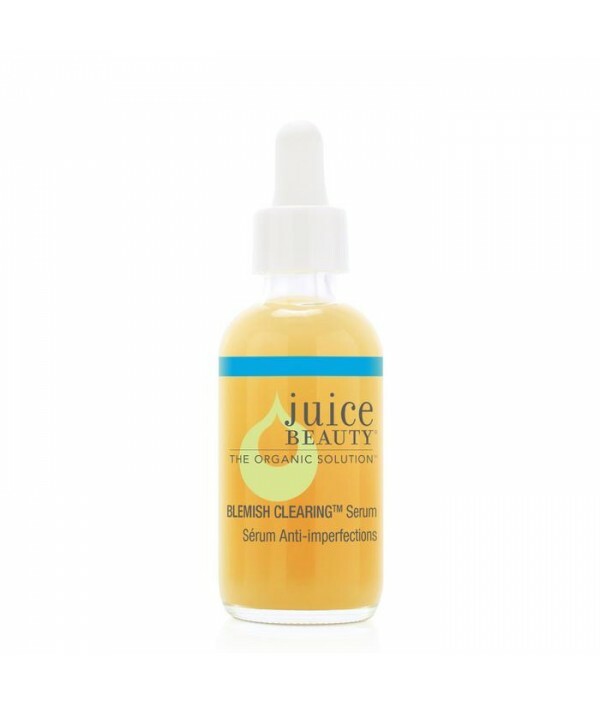 Natural.Who Should Use It?Juice Beauty's BLEMI..
Reduce breakouts, unclog pores, and even skin tone with this powerful serum packed with willow bark, salicylic acid and organic fruit acids; while CoQ10, Vitamin C and organic aloe renew the skin for a healthy, clear complexion. Clears While Hydrates.. 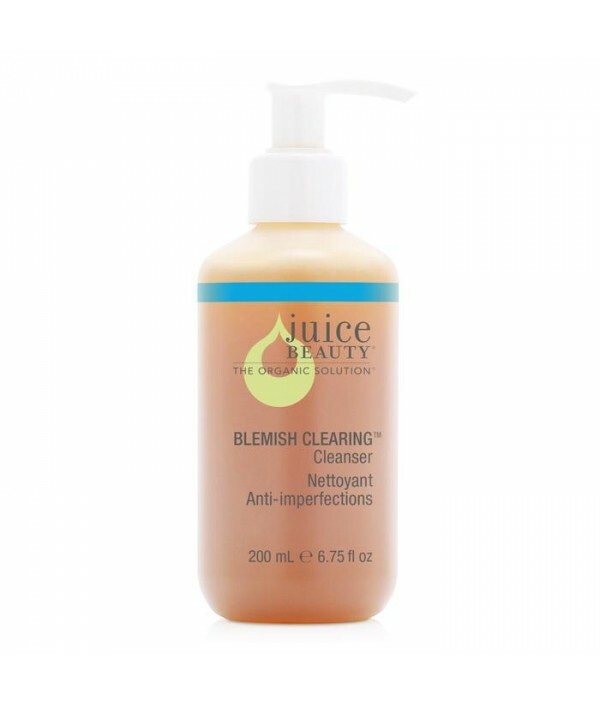 This 30-day supply is the perfect organic solution to clear, healthy skin with four simple steps.Kit includes:BLEMISH CLEARING™ Cleanser 2 fl ozBLEMISH CLEARING™ Serum 1 fl ozGREEN APPLE® Peel Blemish Clearing 0.5 fl ozOil-Free Moisturizer 1 fl ozEco..
A daily pad to use after cleansing that will help clarify and deeply clean large pores to help reduce blemishes. This cooling formula soothes skin and promotes even skin tone and texture. Helps manage oil without stripping skin of its natural moistur.. This creamy formula deeply cleanses and removes makeup with organic neroli and grape seed oils, while soothing normal, aging, or sensitive skin with organic chamomile and calendula. A Daily Essential perfect for cleansing and removing makeup.Clean. G..
A perfect bundle of PHYTO-PIGMENTS™ Liquid Lip in five bold, festive shades to wear during the Holiday period. Allure said it best when they described the updated formula as feeling like a soft lip balm to the touch, applying like a slick liquid lips..
8904233615396 Every organic drop delivers concentrated hydration, potent antioxidants and vital nutrients to the skin. Antioxidant-rich organic cranberry seed, grape seed oils and carrot extract are ..
Water resistant, mineral zinc SPF, with broad spectrum sun protection for the ultimate sun and sport fun. Formulated without chemical SPF ingredients such as oxybenzone. 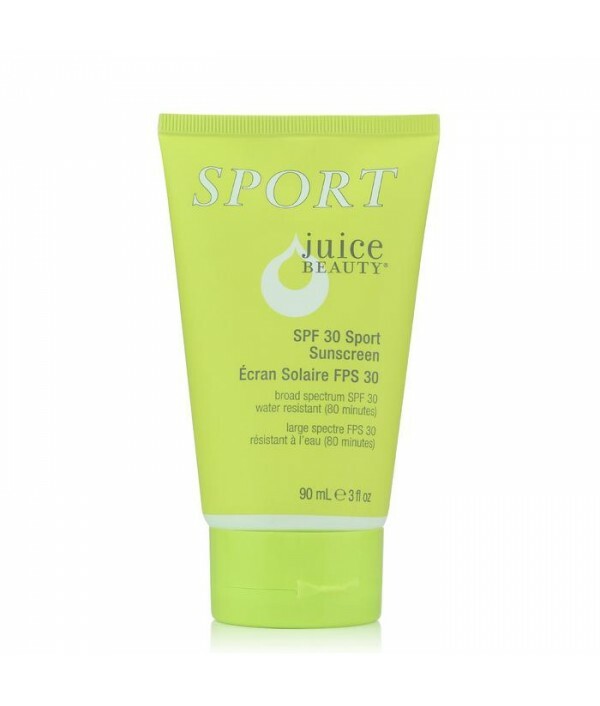 Made especially for an active outdoor lifestyle, SPF 30 Sport Sunscreen blends r..